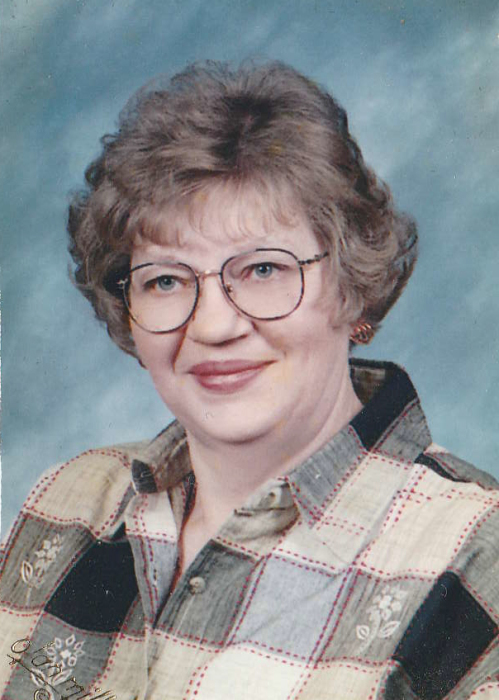 Anna M. Lorenzen, age 70, of Holstein, passed away on Thursday, January 17, 2019 at her home of Holstein. A funeral service will be held on Wednesday, January 23, 2019 at 10:30 AM at the United Methodist Church of Holstein with the Rev. Doresa K. Collogan officiating. Burial will be at the Holstein Cemetery of Holstein. A visitation will be held on Tuesday, January 22, 2019 from 5:00 PM – 7:00 PM at the Nicklas D. Jensen Funeral Home of Holstein. Anna Marie Lorenzen was born June 25, 1948 in Cherokee, Iowa to Helmuth and Arlene Hogrefe. She was raised in Holstein, the town where she would live out her life. She was united in marriage to Kenneth Lorenzen on December 31, 1975. Anna was a graduate of the Iowa School of Beauty and spent her days working in her salon, Anna’s House of Hair. During her career she also worked at Dee’s Beauty Shop, Jack’s Place, The Holstein American Legion, Rochau’s, the Dairy Barn and the Udder Place. She enjoyed watching basketball and going to her grandchildren’s baseball and basketball games. In 1992 she served as Committee Chairperson for the Holstein Girl Scouts. Anna was a member of the Holstein United Methodist Church. Anna is survived by her children, Tara Lorenzen, Richard Lorenzen and Deb (Jason) Gross; grandchildren, Kara Lorenzen, Nicholas, Joshua, Andrew and Logan Gross; siblings, Ken (Deb) Hogrefe, DeLane (Linda) Hogrefe and Patty (Jeff) Sims; and many nieces, nephews, cousins and friends. She was preceded in death by her parents; an infant sister, Karen; and many aunts and uncles.